An anniversary worth celebrating: A while back, many in the FOSS world quaffed copious amount of Kool-Aid in celebrating the 10th anniversary of a particular vowel-laden distro. What unfortunately seems to be ready to fly inconspicuously under the radar is a far more important 10th anniversary celebrating a far more useful and ubiquitous software program. Good thing I’m here to make sure the word gets out. In a full-page ad in “The New York Times” on Nov. 9, 2004, the Mozilla project announced the release of Firefox 1.0, the first full version of the browser which has become the third most popular way to navigate the Internet, behind Google Chrome and Internet Exploder, er, Explorer. What makes Firefox unique is that it’s the only one of the three leading browsers that’s completely open source. 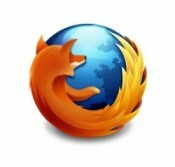 Ten years later, more than 450 million people use Firefox, of which about 40 percent of the code is written by volunteers. In addition, its reach can be measured by the fact that more than half of the users employ non-English versions. The browser is available in 75 languages. So congratulations on 10 years of web browsing, Firefox, and may you deliver many more. A couple of coins to spare? It seems my good friend and fellow FOSS Force columnist Ken Starks is getting a lot of ink — or I guess you would call it pixels — in these parts lately. Not only did he keynote at Ohio Linux Fest (and thanks for the mention, Ken! ), and not only was one of his columns referenced earlier this week on FOSS Force, but now I get to take the proverbial mound and make my best pitch, Madison Bumgarner style, for Reglue. As many of you already know, Reglue is in the midst of its fundraising season thanks to an Indiegogo campaign which is seeking to raise $9,000, and they’re just over a quarter of the way there. I’m not going to belabor the point, but Reglue does great things for kids in Texas and it’s a project that needs to be emulated in other areas of the country, if not the world. And if everyone pitches in, all it would take from each of us is a few bucks. Here’s how you can donate without really missing it: that Grande Caramel Mochajavafrappamacchiato with whipped cream that you’re buying for way too much at Starbucks, in a cup that has your name misspelled (again)? Skip it one day this week and donate the money to Reglue. The same goes for that burger you regularly have for lunch — skip it once a week and donate so Reglue can put a refurbished Linux box in the home of an underprivileged kid who will grow up using FOSS. The world will be a better place for it, and think about it — all you’re out are a couple of coffees and burgers. Riding into the sunset: We’ll have more on this next week with a Q&A with the men in question, but it is with a heavy heart that I report that one of my all-time favorite FOSS podcasts — OK, it is my all-time favorite podcast — will be wrapping up at the end of this year. Linux Outlaws — featuring Liverpool musician Dan Lynch of Oggcamp fame and German tech journalist and Warhammer 40K aficionado Fabian Scherschel — is portrayed on its site as “very much like listening to two friends sitting in a pub, having fun and talking about things they find interesting.” However, I think that sells the show short — it is far more entertaining than that, with poignant reports and topical discussions punctuated with an occasional flight-of-ranting-fancy by Scherschel (and when they say, “Not recommended for the faint of heart or the ignorant,” they mean it). Always straightforward and honest, always informative and humorous, Linux Outlaws never met an issue they couldn’t tackle with their particular brand of wisdom, insight and jocularity. We’ll have more on Linux Outlaws next week. Meanwhile, get on Firefox to browse, donate to Reglue, and give a listen to Linux Outlaws.